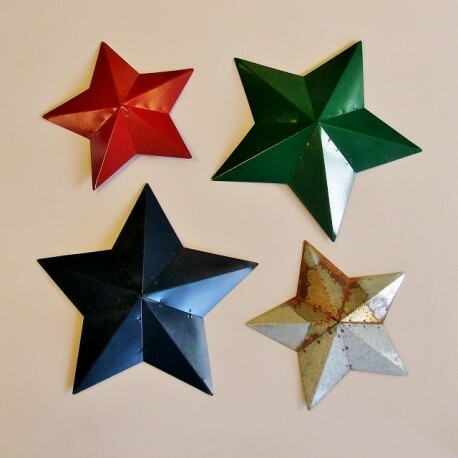 Metal Barn Star - Carmichael Inc.
Barn stars originated with the Pennsylvania Dutch, including the Amish, who decorated their barns with them in the 1700-1800s, possibly as good luck signs. 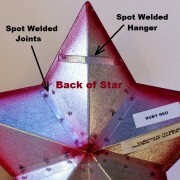 We’ve noticed that a lot of the barn stars sold today, especially the ones made offshore, have very long, skinny points. If you’re like us and want your barn stars to look more like stars than star fish, then you’re in luck. We cut and form each individual star by hand from light-gage galvanized sheet metal and spot weld it together, so no two are ever exactly alike — just like snowflakes. Please choose a size and finish before adding this item to your cart. — Thanks ! No more lugging heavy plants around when it's time to vacuum or rearrange furniture. This sturdy, 12-gage steel plant caddy is 12 inches in diameter, holds up to 150 lbs. and lets you move it with ease on smooth-rolling nylon swivel casters. 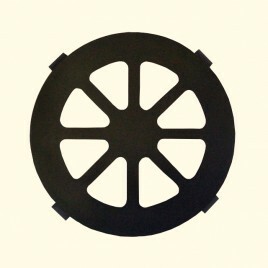 The powder-coated black finish means it won't rust, even if you decide to move your plant outdoors for the summer. 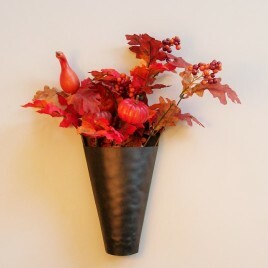 Made by Carmichael This item is sold individually (Order Qty 1 = 1 Plant Caddy) Items "in stock" are usually shipped within 2 business days of your purchase. Give those pliers and screw drivers you always need around the house a functional, attractive home that will add to, instead of detract from, your decor. These tool boxes are hand cut and formed from light-gage galvanized sheet metal and then spot welded. 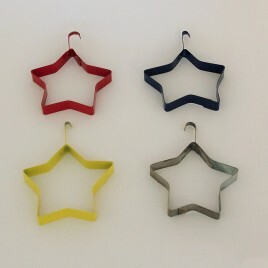 We powder coat them for a finish that's tougher and easier to clean than paint. 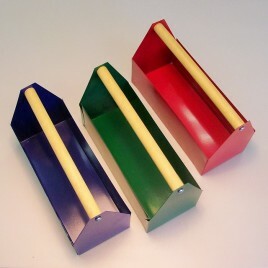 • Box is 10" long x 4" wide x 6" deep • Wooden handle, fastened with screws • Available in your choice of several powder-coated colors No two will be exactly the same (though very close) because they are made and finished by hand. Made by Carmichael This item is sold individually (Order Qty 1 = 1 Tool Box) Items "in stock" are usually shipped within 2 business days of your purchase. Please choose a finish before adding this item to your cart. -- Thanks !